Calm, velvety & warm, with impressive versatility. 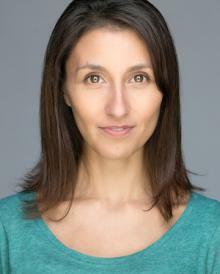 With a native London accent, my natural voice is velvety, warm and calming, but I also specialise in characterisation and impersonation and can do a number of accents to an excellent standard including General American, Lancashire and RP. My voice age can range from 10-60. I've voiced little boys (in Divinity: Original Sin 2) and and even a 63 year old Queen Elizabeth I (in the live action show Kynren). I trained as an actor at Mountview Academy of Theatre Arts.